Japan is a country with a lot of different animals, from cats and dogs to more exotic ones, such as bears and salamanders. Of course, you will not hold those wild ones as pets. But, unfortunately, it is not uncommon for those animals to be imported or exported. And not for a very noble cause. So, if you are moving to Japan and want to bring your exotic pet, you should be careful. People might think of you as an animal smuggler. 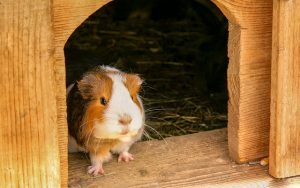 Therefore, we give you a list of exotic pets import regulations in Japan. So that you can bring your pet with you stress-free. What is the situation with exotic pets import regulations in Japan? These laws do not really mean anything. People who do not want to follow them, they simply won’t. There are two reasons for this. First, there is little compliance. Secondly, people who comply with the laws do not know what they are doing. Usually, customs officers cannot tell the difference between a monkey and an orangutan. People who violate the law will continue. People who do not do this will follow new and more stringent requirements that make import business more difficult and more expensive. This, in turn, makes black market animals even cheaper, because legitimate animals now cost more, and the ones from the black market cost the same or less. What do you need to get an animal through customs legally? According to exotic pets import regulations in Japan, that is not very difficult. You just need to have proof that they were bred. Or that they were legally moved from the country from which they came. You need to get a certificate of health, permission to export and permit from CITES, all from the country of export, clear customs and get permission to import. What can you do in order not to be mixed with the animal smugglers? Firstly, you need to have the right papers for your pets. Those documents should have the information of the place and time you got your animal. There should also be the data about the animal’s origins. In case it wasn’t from your country. Then, you should take a good care of your pets. If you treat them properly and the animals like you, there is less chance customs officers will recognize you as an animal smuggler. If you want to bring one of those animals to Japan, you need to notify the animal quarantine service of your port about entering the necessary information about your animal at least 40 days before you arrive in Japan. Dogs and cats brought from outside Japan are quarantined and kept in quarantine facilities. The period of quarantine can vary from 12 hours to 180 days. The procedure for importing the above animals may vary depending on the country of export. Do your own research carefully before leaving. For more information about importing the domestic animals, check our article about moving with pets to Japan. For other animal species, the quarantine procedure may vary depending on the country of export. You can get more information from the embassy or consulate of the country of export to Japan. Import of certain animals is prohibited in accordance with the Washington Convention. 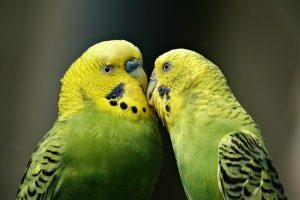 You can bring animals like snakes, parrots, and parakeets and keep them as pets. However, some species are targeted, so be careful. 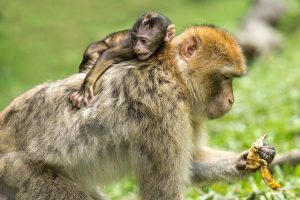 How should you keep your pet after successfully following exotic pets import regulations in Japan? Every pet has its own life. Be a responsible owner and take a good, lifelong care for your pet. 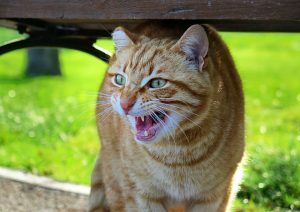 Pets can easily cause trouble with neighbors on issues such as noise, smell and hair shedding. If you want to keep pets, carefully study these questions and follow the rules and manners of your local community for keeping pets. It is usually forbidden to bring your pet with you to restaurants and public premises. In some residential complexes, pets should not be allowed. Check in advance whether pets are permitted in your building. Animals that can attack people such as monkeys of medium size, big birds (eagles and hawks), crocodiles and snakes, are classified as special animals. If you want to keep them as a pet, you need to get permission from the municipal authorities. You must register a new animal within 30 days from the time you come to the country. You can do the registration in the municipal office in the ward where you live and in a public health center. Once you register your animal, you will receive a license tag that you must attach either to its collar or its cage. Events such as changing the address, changing the owner or killing the animal must be reported to the municipal office in the city where you live. You can request help to properly dispose of your deceased pet in the municipal office in the place where you live. The process can vary depending on each community, from cremation to burial with other wastes. For more information, contact the Citizens Service Department at the municipal office in the city where you live. So should you follow those exotic pets import regulations in Japan? Well, of course you should! You don’t want the customs officers to consider you an animal smuggler. There can be a lot of troubles if they think that you are doing something illegal. Firstly, they can take your pet away from you. Then, you can pay a fine. Or, even worse, go to jail. So you do not want to risk with that. In the end, if you hire sea freight forwarders, you don’t need to worry about all of that. They will most certainly insist on following exotic pets import regulations in Japan. After all, they don’t want to jeopardize their business.